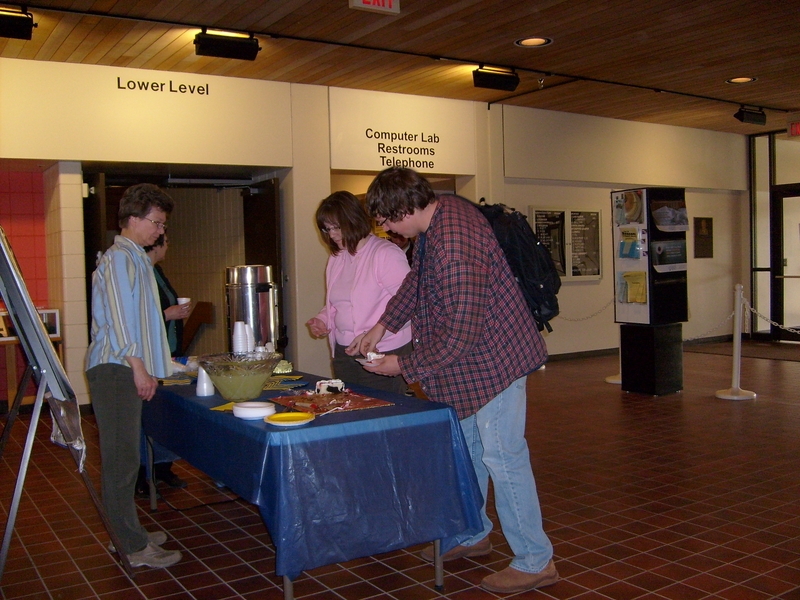 On April 12, library staff and patrons celebrated the beginning of National Library Week with cake, coffee, and lemonade in the library’s lobby. Started in 1958, National Library Week celebrates the contributions of libraries and librarians and promotes library use and support. You are currently browsing the Bloggin' @ Briggs blog archives for the day Tuesday, April 13th, 2010.